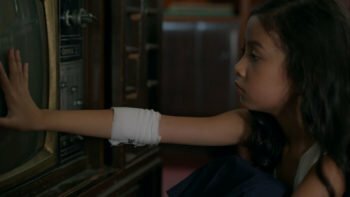 Philippines-based filmmaker and artist Shireen Seno recently debuted her second feature Nervous Translation (2017) — an essential entry in the coming-of-age genre, which expands upon the often-Westernized format by in corporation the broader socio-historical fabric of the Philippines in the late 1980s. Setting the stage amongst the People Power Revolution and the imminent arrival of a typhoon, and with its central character Yael largely confined to her house and interacting with its objects in meticulous fashion, Nervous Translation utilizes a child’s perceptual field as a formal exercise, exploring how one reacts to and processes issues relating not only to family and socio-historical events, but also to the imposing imprints of Western consumerism and language. 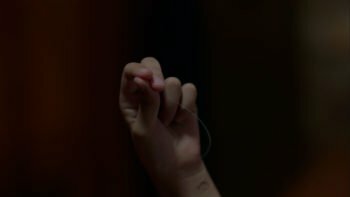 This gives Seno’s film a unique sense of scale that addresses Filipino identity and universal feelings of loneliness alike. Forming one part of the independent film lab Los Otros, alongside John Torres, Seno is well established within the growing independent filmmaking community in Manila, supporting other filmmakers through her practice. Below, Seno discusses Nervous Translation’s focus on scale, the Philippines’ colonial past and how it informs her work, her childhood in Japan, and the community formed around filmmaking in Manila. 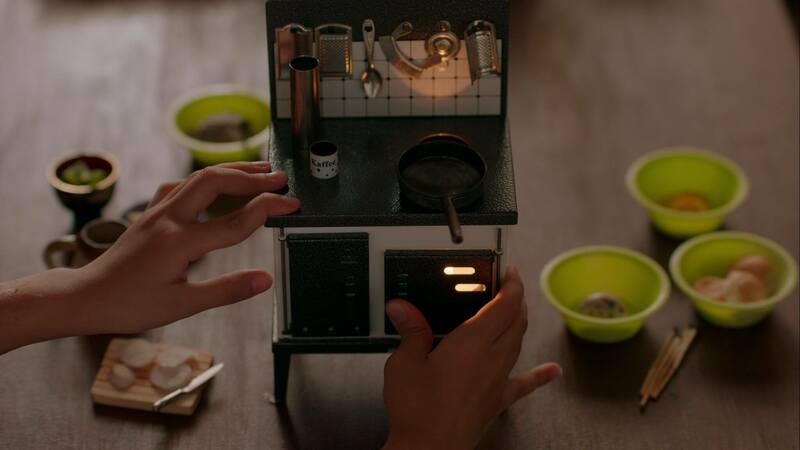 Both Big Boy (2011) and Nervous Translation explore notions of scale, especially in relation to childhood experiences — the central character in Big Boy is stretched to become taller, and Nervous Translation‘s Yael plays with the miniature kitchen set for example. What inspired this focus in your work? My work is an effort to connect personal myths with larger cultural-historical ones. For Big Boy, I asked my father to retell stories I heard from him growing up, eventually realizing they got magnified in each retelling. 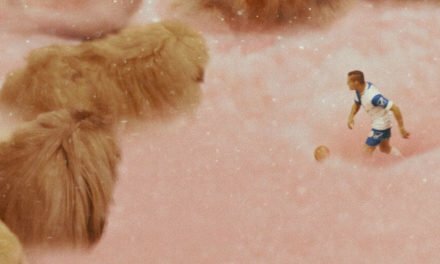 I tried to incorporate this sense of scale into the film, which is about a boy’s growth and the subsequent breakdown of a family. Size is taken quite literally, but it’s also used as a metaphor of colonial power on our psyche. Filipinos are quite small, especially compared to our colonizers; we have always been looking up to others. In Nervous Translation, scale allows us to access emotional states associated with power — when you are in control, you feel on top of things, whereas when you have no power, you feel small. I wanted badly to be an architect when I was younger. I was enamored with cities, buildings, and spaces that could affect us in a positive way. But the more I studied architecture, the more I realized it isn’t just about the spaces we inhabit — rooms, homes, shops, classrooms, bars, cinemas, cities — but about the spaces that inhabit us — childhood, memories, stories, dreams, desires. And the house is so important in Nervous Translation. What was the process like of deciding which objects Yael would interact with, and how? The house we found has a particular layout, with a long hallway that I felt could act as a kind of passageway for many things such as the space in between Yael’s inner and outer worlds. I knew very early on that the sound needed to be very minimal — a mix of human and mechanical voices and sounds, various gradations of breath, wind, whispering, whistling, the voices of objects. I grew up without many words but a strange mix of sounds. I was also thinking of diaspora through products — the lives of goods and objects in place of people. After People Power, there was so much potential. It was an amazing outburst. We overthrew a dictatorship. But then it kind of just turned into this shallow, consumerist society. In a sense, we really didn’t get past the surface of things. I had a dream one night that I was told to go to my relatives and find a pen for nervous translation. When I woke up, I thought, “how perfect that would be — to have a pen for nervous translation, as opposed to having a nervous breakdown!” I think we grow up brainwashed by modern society to think that there are products to solve our problems, when in fact our problems lie disjointed between the world around us and the world within. I think shoes are important too — they are like material witnesses to the day-to-day of our lives, and I wanted to connect that to the infamous collection of shoes Imelda Marcos had to leave behind during the People Power Revolution, testifying to her greed. I used to clean the soles of my shoes when I was a child. It was a kind of therapeutic ritual for a shy kid obsessed with order. Opening the film with Yael arriving home and cleaning the soles of her shoes brings us straight into Yael’s world and acts as a conduit to the scenes where she cooks in miniature. Were there other personal experiences you were drawing from? When I was three, he would pick me up from my half-day at kindergarten and take me with him to work at a small English school. I remember falling asleep on a tatami floor to the sound of the photocopy machine. 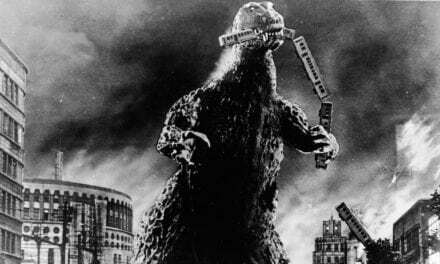 Then he would take me to Akihabara, the electronics district of Tokyo — a visual and aural feast for the senses for anyone, let alone a three-year-old. Back then, there were a lot of outdoor demonstrations for new products, not just electronics, but everything from cooking knives to barking toy dogs. Sometimes, my father would leave me there on the street, engrossed in these strange audio-visual performances, without even telling me. I didn’t worry too much though — somehow, I knew he would come back for me. 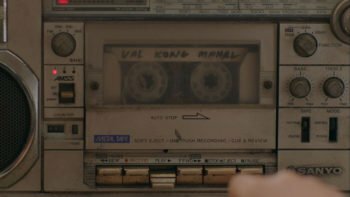 Whilst writing the film, I heard from John and friends of ours about how families with loved ones abroad would send cassette tapes back and forth to keep in touch. I realized how fortunate I had been to have grown up with my family in one place, although the drawback to that was growing up without a strong sense of home or roots. So, you could say the film is a mix of my own memories of displacement and those of fellow children in the Philippines at the same time. Language is indeed power, as they say. A lot of Filipinos raise their kids in English, believing that this will help them excel in school, where the language of instruction is in English. My parents would test me on my spelling over dinner, asking me to spell out words like “chrysanthemum.” This mind-set is a direct result of our colonial past. After all, how can you unite an archipelago of some 7,000 islands, where there are 12 major languages? Education in English was a key tool for the United States colonial government to spread their cultural values and maintain control of the Filipino people for generations to come. I grew up in Japan in the 1980s and ‘90s to Filipino migrants, quite sheltered and oblivious of all the political instability going on in the Philippines. I did get fragments of it through TV though, over the years. Meanwhile, the bubble economy in Japan was booming, and I was consuming a ridiculous number of television commercials since so-called “free” TV anywhere is inundated with them. The pen commercial is the only footage in the film that we staged from scratch — it’s based on the commercials I grew up on in Japan, where the final tagline is voiced by a kind of omnipresent American, common to both Japan and the Philippines alike. I just knew that the pen slogan had to be some kind of absurd promise, “for beautiful human life.” This isn’t to say we are passive victims of consumerism; we are complicit in our own complacency. My mother worked hard at the international school, and even taught private lessons at home after school and on weekends to save more money. She made my sisters and I do math drills, like Mad Minute, at home so that we would ace them in school. Doing well in school meant getting into a good college in America, to get a good job, become American citizens, and support them when they got old. That’s all we talked about, instead of us actually talking to each other about things. We would go shopping and even then, we would each go our own way, and buy things to fill the gaps between one another. The zombie movie in the film is Di ingon nato (Not Like Us), a Cebuano film from 2011, produced in the same context as Nervous Translation and my first film, Big Boy — both were funded by Cinema One Originals, a local cable channel that produces around eight to ten “independent” films each year. They provide the production funds but own the rights to the finished films. The filmmaker gets a small share for the first five years, but after that, it is owned by Cinema One. The Super Sentai episode [in Nervous Translation] is actually footage from another Cinema One Originals film, Blue Bustamante, made in 2013, about a young father who migrates to Japan, where he finds work as a stunt double in the fictional TV series. Fortunately, it was relatively easy getting permission to use the footage from both films since I know the filmmakers, and the films were from the same rights holder. Cinema One Originals is a subsidiary of ABS-CBN, our country’s largest media corporation. That’s how we were able to get the TV footage from the People Power Revolution. It took six months to make the film once we found out we got the funding from Cinema One. The other downside to most of our local film funding is the lack of local distribution. Most cinemas don’t gamble showing local films unless they are commercially viable, with either familiar storylines or famous actors. So, we count on university cinemas like Cine Adarna at the University of the Philippines and a handful of micro-cinemas, which have been popping up around Metro Manila in the last couple of years. Your support for Filipino cinema also extends to your curatorial and workshop activities as part of Los Otros; can you say more about how Los Otros started? John started Los Otros back in the early 2000s. It was his small one-man post-production studio in an apartment across from a major university. It’s where he started to make short films of his own. By word of mouth, it also became a place where young people could gather, watch films, and hang out. It was a way of reaching out to others who didn’t quite fit in with regard to process or output. Years later in 2009, John and I got together and rented a house here in Teachers Village. We’d screen John’s films here in our garage — just casual screenings that we’d post on Facebook, and we’d get a nice mix of filmmakers, musicians, artists, designers, and students. At the time, the first floor of our house was still being used as storage for John’s father’s stuff, mostly books, similar to the scenes in John’s film Years When I Was a Child Outside (2008). It wasn’t until 2015 that we cleared the first floor and found ourselves with a nice space to activate! Over the years, we noticed how separate the film and art departments are in most schools, particularly the University of the Philippines, which is quite near us. We also noticed how career and industry-oriented the programs were becoming, when we really felt school should be a time for experimentation, playfulness, and discovering one’s sense of self, as well as one’s community. A lot of my development as a person and as an artist/filmmaker has come from going to a mix of different events — screenings, art openings, talks, and performances, many at Green Papaya Art Projects. Los Otros became a way for us to channel our interests and relationships into something to share with others, and to keep pushing the boundaries between film and art, documentary and fiction. 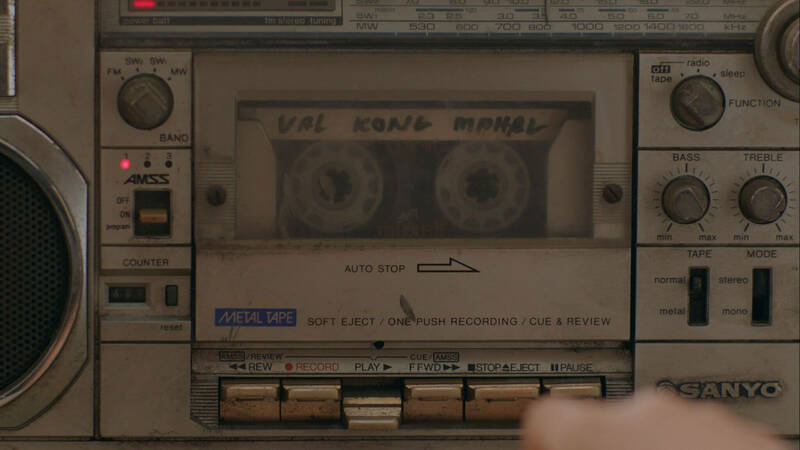 Lastly, the songs used in Nervous Translation are really memorable, and mostly by Manila-based musicians. 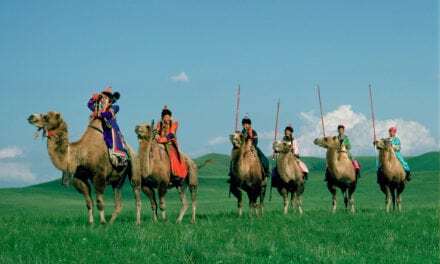 Are the communities around music and film quite interlinked there? Yes, they are quite kindred spirits. Some filmmakers are musicians as well. Two of my favorite festivals here are WSK Festival of the Recently Possible — dedicated to sound, media art, and performance — and Karnabal, a festival of performance art. Itos Ledesma, who composed the score for Nervous Translation, is quite active in WSK. When I was making the film, I knew the 1980s was dominated by cheesy ballads and disco, with the alternative being our own versions of new wave and punk. I came across a blog documenting our underground scene and was intrigued by a compilation album released only on cassette tape called Subterranean Romance: The Rise of the Martial Law Babies. There was one track that I really felt fit the mood of the film — a track called “XC” by Integrated Circuit. 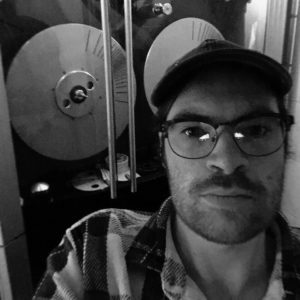 Luckily, I was able track down Nitto Palacios, the man behind this track and the entire album, which he produced in a lovingly lo-fi way, similar to our own approach to filmmaking. Shireen Seno’s Nervous Translation premiered at the 2018 Rotterdam Film Festival and is now traveling the festival circuit. Andrew Northrop has written for Cineaste, Senses of Cinema, and MUBI Notebook amongst others. He is based in London and his interests include archives, restoration, essay films, and coming of age/"slacker" narratives.